Hidden away in the USSR during China’s communist revolution, these children of Chinese revolutionaries were raised in a special Soviet boarding school. They’re now returning on a visit to their second ‘homeland’. Chinese octogenarians Li Duoli and Zhao Qilian still prefer the old Russian names they were given as children. Now, landing in Russia, they’re back in the nation that gave them a happy childhood. The trip begins with a visit to Leninskiye Gorky Mansion near Moscow, where Vladimir Lenin lived and worked in his last days. After hearing more about the revolutionary icon, they head to Red Square and pay homage to their foster-mum, Elena Stasova, who founded the Ivanovo International Boarding School where they grew up. Finally, Anatoli and Irina travel to Ivanovo, their old ‘hometown’, where an unexpected but very pleasant surprise awaits, along with many fond memories. 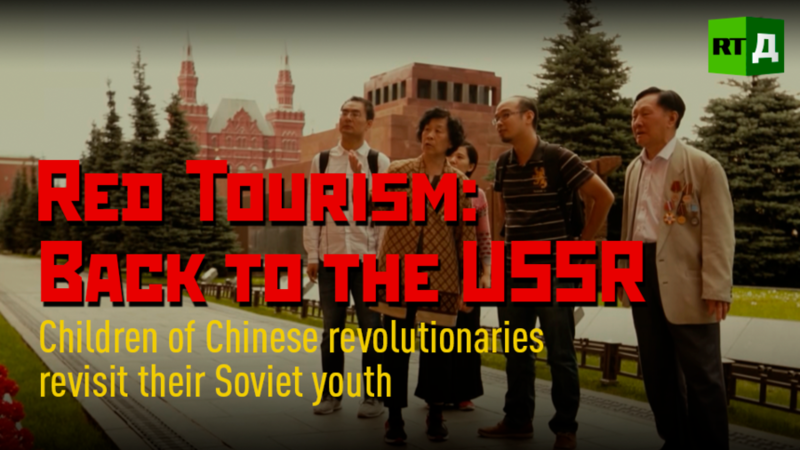 Watch "Red Tourism: Back to the USSR" on RTD website and on RT’s live feed. The time of the broadcast is available on RT’s schedule page.